Not sure of year but think circa 1946, guessing my Mum is around 8 in this photo? 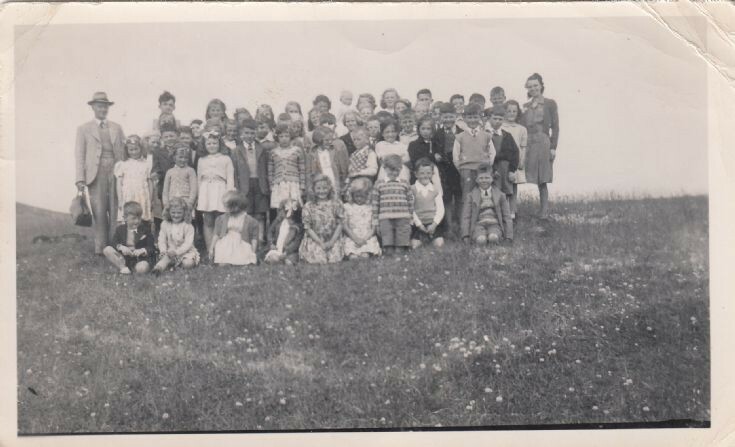 My Mum, Rita Stephen (Margaret Gray), is 2nd from right in light colour dress with glasses. Any other names known? Hi Brian, we have this very same photo at home. 3rd boy in from the left (sort of middle of group, dark hair) is my father, Jim Baikie. The peedie girl to the right (his left) with the bow in her hair and a pale dress is his sister Janice.